What is the secret to a successful website? Here’s the million-dollar question: “What is the secret to a successful website?” I’m not foolish enough to suggest a single answer. But in more than a decade of working on client websites, I’ve noticed a recurring pattern: the sites that succeed are those that have a well-informed, passionate website owner at the helm. No single thing makes a site successful, but a good website owner puts into place the elements that give a site a fighting chance. A lack of definition leads to a lack of focus. Without a job description, you can find yourself drawn into unrelated work. Worse still, others can presume something is your responsibility when it isn’t. A lack of definition causes anxiety. There is always a vague feeling that you aren’t fulfilling your role or are perceived that way. By defining the role clearly, you allay your fears and establish others’ expectations. A good website owner should have a clear vision and be capable of developing it over the long term. This vision will evolve through discussions among the site’s stakeholders. When a site is being developed with the assistance of a web-design agency, it’s good practice to include them in shaping the vision. Unfortunately, web-design agencies are often brought on board after the vision has been formed, so their input is missed. This can cause problems further down the line. You need to have a clear picture of what role the site plays within your organisation and how that role could be expanded later. The vision for your site should fall into two categories: the core vision and the roadmap. The second category is the roadmap. This is a vision of how your site will develop over the coming months and even years. What kind of new functionality are you planning to add, and how is the user base expected to change? In the case of our example, roadmap items may include adding an itinerary planner or allowing email subscriptions to receive the latest offers. It can include details on how to cater to a new market or support upcoming marketing campaigns. Without a good understanding of the overall vision and roadmap ahead, a site can easily wander off track and lose its focus. Establishing a vision is one thing; maintaining it is another. The vision needs an advocate: somebody willing to defend the site against others within the organisation who might seek to undermine its focus. The problem is particularly acute in larger organisations where people have a departmental rather than corporate perspective. This outlook leads to sites falling victim to internal politics and to individual departments pushing their own agendas. I once worked on a website where users were forced to register before viewing a product demonstration. This became a major barrier to users interested in the product. The problem arose because nobody was defending the vision to generate high-quality sales opportunities. Instead, the marketing department ran the show, and their agenda overruled the site’s vision. They didn’t care about the quality of the leads because that was “sales’ problem.” All they cared about was meeting their quota of leads. Although this example is an extreme case, I’ve seen similar things happen when departments fight over home-page space and top-level navigation. It falls to you to keep in mind the bigger picture and avoid this kind of provincial thinking. The danger of being a site’s advocate is that you’re on the defensive, constantly battling internal stakeholders. This can lead to the site becoming isolated from the rest of your organisation and therefore adding little value. It’s important that your role be not just defensive but offensive too. Continually seek out ways the website can support operations within the company by maintaining a dialogue with the various departments and individuals. A good website owner seeks to understand the challenges faced by others in the company and look for ways that the website can help with those issues. You can also evangelise the benefits of the web and keep your colleagues informed about the latest innovations that may apply to their situation. By talking to other departmental heads, you can quickly identify areas where the website can help meet organisational objectives. Content responsibility is the most time-consuming aspect of a website owner’s role, and content population in the initial build phase is the most demanding element of that aspect. Writing and collating content for a website is a huge undertaking and the biggest reason that web projects fall behind schedule. It’s easy to underestimate the time involved in pulling together content from different sources and repurposing it in a format suitable for the web. Even after the initial site has been launched, your responsibility toward content doesn’t end. You also need to keep the content fresh and up to date. A website owner needs to continually source new content, review existing copy, and update as necessary. You need new content, such as news stories, to keep users coming back for more. The job of generating content can become too big for a single person. You may choose to solve this problem by reusing existing content or turning to others for help. These approaches are perfectly valid. But they present the danger of inconsistency in both tone and content. You must ensure that the site speaks with a single unified voice. You need to review each new piece of content added to your site. Does it use the same tone of voice used elsewhere on the site? Is the writing style the same? Are the facts quoted in line with what is already being shown. Without a website owner ensuring consistent tone, a website can appear to have a split personality, with different sections written in different ways. Content contributors aren’t the only people who need managing in a web design project. There are designers, developers, usability experts, hosting companies, and many more. Although frequently you’ll turn to a web-design agency to handle the management of these roles, it’s inevitable that some management will be required internally. For example, internal sign-off is often required for project components such as budget, design, and content. Unfortunately, the final role that most website owners have to fulfil is unofficial referee. Running a website is all about compromise. Compromises are necessary regarding content and which sections of the organisation get the highest priority. You must compromise between the different pillars of web design and compromise about budget and time scales. The various stakeholders have different perspectives on what is important. It’s your responsibility to break any stalemates that occur by finding the middle ground. You have to be the decision maker. Recognising your role is an important step in being a great website owner, but it isn’t the end of the journey. It’s also important to realise that the role is ongoing and that the work of a website owner is never done. So what is the secret to a successful website? As I said at the beginning, “you are”. However, for you to achieve the goal of creating a successful website you must be given the time and resources necessary to tackle the role properly. Management must realise just how complex a job it is and ensure you have time dedicated to its execution. Perhaps you should print of this article and give it to them. And now for the book giveaway! The Website Owner’s Manual is a book for the thousands of marketers, IT managers, project leaders, and business owners who need to put a website in place and keep it running with a minimum of trouble. The book provides a jargon-free overview of web design, including accessibility, usability, online marketing, and web development techniques. You’ll gain a practical understanding of the technologies, processes, and ideas that drive a successful site. I have allocated 10 free copies of my book for Econsultancy members. 1. Make sure you are an Econsultancy member (Bronze is the free option). 2. Email FTW@econsultancy.com and tell us your biggest challenge in managing your website. 3. Include your name and address, so we know where to send a copy. Winners will be notified by email. Good luck! 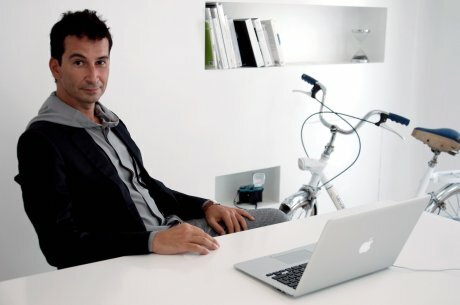 YOOX Group was launched in Italy in 2000, and runs Yoox.com and thecorner.com, as well as providing e-commerce sites for brands such as Diesel and Emporio Armani. I’ve been talking to founder and CEO Federico Marchetti about the growth of YOOX, the challenges of selling fashion online, and why great customer service is more important than marketing..
After years and years of premature predictions of varying kinds about the mobile market, it’s clear that mobile is starting to realize the potential just about everyone knew it had. From the billions of mobile subscribers around the world to the more than one billion apps that have been downloaded via Apple’s App Store, mobile is legitimately big. According to ABI Research, mobile is going to get a lot bigger in the ecommerce market. The research firm is predicting that in 2015, $119bn worth of goods and services will be purchased via a mobile phone. Curb Your Enthusiasm was one of the highlights of the last decade, as far as the TV is concerned. One single episode contains more belly laughs than a whole year’s worth of comedy programming on BBC3. And why? Because Larry David tells it like it is, regardless of the personal consequences that may arise as a result of his actions. We all have our Larry David moments and while we may not (typically) react in the same kind of sociopathic way, we feel his pain, and his sense of bewilderment at perceived injustice, slights, lousy service and the weird reactions to his amazing lack of tact.